Batman v Superman: Dawn of Justice has received flak from critics and mixed reactions from fans. 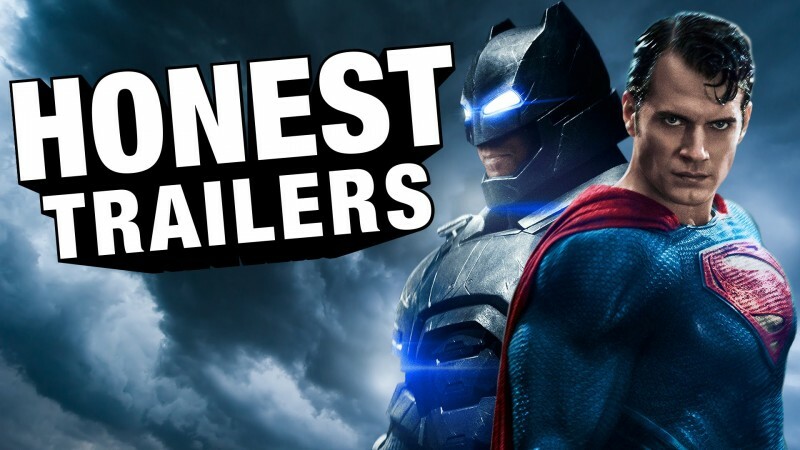 Now it’s time for Honest Trailers to take a crack at the Warner Bros’ movie. The team does talk about the positives like Batman’s fight scenes against goons. However, get prepared for them to blast on everything else including the Martha sequence, writer David S. Goyer saying that Batman fighting Superman is where you go when you’ve exhausted all possibilities, Zack Snyder talking about how he wanted a version where Batman gets raped in prison, brooding Superman, Batman being a murderer, and how Warner Bros. is trying to cram everything in one movie.